We are now just six months away from our planned departure date! Alicia will be attending the school on the station where we will be living (Ukarumpa), and the academic year begins in mid-July. We found out just how important that deadline is when we tried to start Daniel and Stefanie mid-term. (It was a mess that plagued them the next two and a half years.) In order to make it to Papua New Guinea by then, we are visiting churches as late as possible. Facebook is a great way to post pictures and perhaps jot a quick update. I asked Alicia to do some work on the ministry page and she did a great job. There are several albums all showing different aspects of our life in PNG and sometimes I make a post. You can see all of this even if you do not have a Facebook account. If you are a member, you can leave a message or post comments. Also, you can “Like” us. 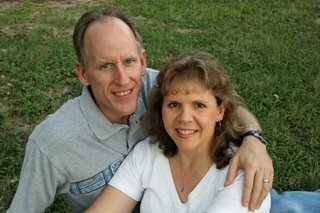 Just go to www.facebook.com and search for “Mundhenk’s Ministry” or Click Here.